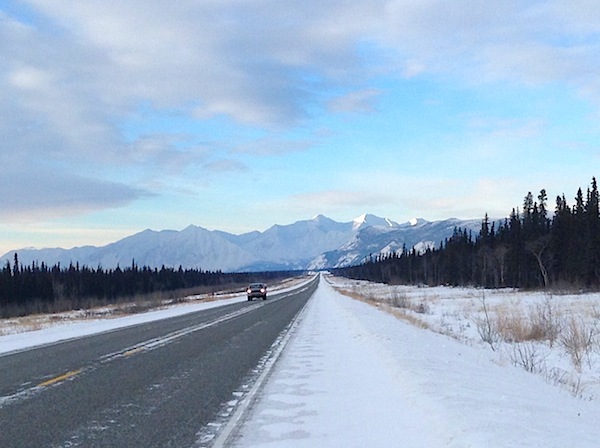 Heed Yukon’s Call of the Wild — Even in the Dead of Winter! Thinking it was time I put on my big-girl’s pants, I accepted the trip (for me it was basically for “the challenge” although I admit I was sorely tempted to back out after learning that the temperatures could often dip to 30 degrees below zero). Looking back over the last week, it turned out to be, if not a life-changing experience, at the very least a burgeoning love affair with the region. Not only did I survive the week, but I actually enjoyed the hell out of it, which is why I am recommending –even shouting from the rooftops — that everyone needs to go to the Yukon at least once. There are few places on the planet where you’ll find such priceless beauty and rich experiences, partly because over 80% of the Yukon is still wilderness, filled with the pristine rivers, unique wildlife, clean air, and some of the most awe-inspiring landscapes imaginable, mainly because they don’t have masses of people messing things up here. Picture this: Although it is larger than California, the Yukon Territory has only 36,000 inhabitants vs. California’s 39 million people. Or from the animal’s standpoint, the Yukon has about six caribou and two moose for each person — the makings of a new political campaign, perhaps? With temps this extreme, Yukoners make their own winter fun. They offer a variety of unique festivals, ranging from sophisticated cultural offerings to insane “man against the elements” competitions. 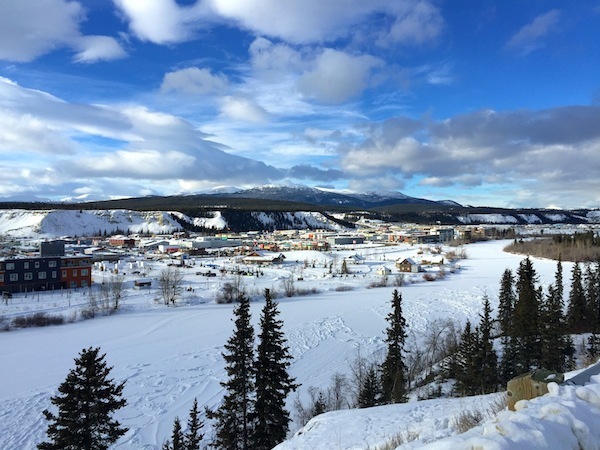 Some of the more popular events include the Yukon Sourdough Rendezvous, Thaw di Gras Spring Carnival, Klondike Outhouse Races, Yukon International Storytelling Festival and the Dawson City Music Festival. During my visit I got to be part of (happily, I was just rooting from the sidelines) the 32nd annual Yukon Quest International Sled Dog Race. From what I could see, the “Quest”” makes the Iditarod look like a stroll in the snow by comparison! 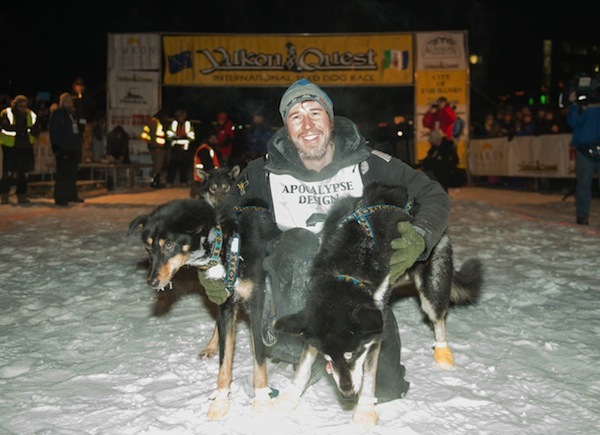 The Quest began in 1983, at the Bull’s Eye Saloon, when musher Leroy Shank and historian Roger Williams envisioned the ultimate dog sled race, one that would severely test the strength and endurance of man and dog over 1,000 miles of rugged terrain. Unlike the Idtarod, which only crosses one mountain range, the Quest cuts through four mountain ranges with significant elevation changes, includes fewer checkpoints/rest stops and has more extreme temperatures. After talking to the mushers and learning more about their backgrounds I was reminded of ABC’s Wide World of Sports slogan, “the thrill of victory… and the agony of defeat… the human drama of athletic competition”. During the night we would unwind from all the heart-pounding excitement at the Yukon Arts Centre, home to the 10th annual Available Light Film Festival. This is Canada’s largest feature film festival north of 60 and features the finest in contemporary Canadian and International cinema. 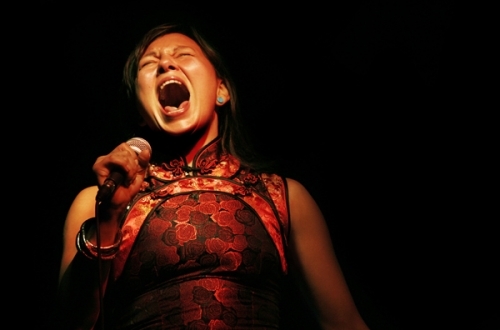 The highlight here (which definitely jump started my heart again) was a riveting performance by Tanya Tagaq, the Billy Holliday of Inuit throat singers, in concert with the 1922 silent film Nanook of the North resulting in one of the most emotionally haunting arrangements I’ve ever witnessed. This is just about the most fun you can have that doesn’t involve chocolate — no wait, I take that back because when we broke for a tummy-warming lunch of homemade chili and brown bread, there were yummy, gooey brownies for dessert. The caring staff at Sky High Wilderness (of both their guests and their 150 dogs) is used to rookies so you can simply show up, bundle up, and sign your life away. Then, faster than you can build a snowman you’ll find yourself mushing along the trails guiding your team of dogs like a seasoned pro. I adored my wildly enthusiastic dog team, particularly my lead dog, Velvet, whom I was dying to bring home with me. Racing along the winding forest trails, hearing little more than whoosh of the sled and the panting dogs as they eagerly strained at the anchor in search of more speed, squinting against the sun glistening off the snow crystals I could see how easy it would be to get hooked on this sport. 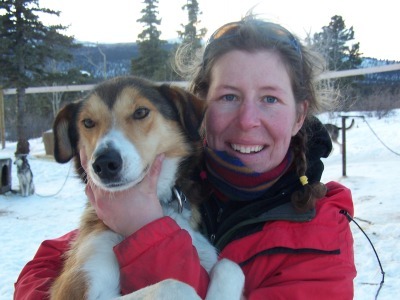 Over lunch we met Jocelyne LeBlanc, one of the owners, who regaled us with some amazing stories of running the 2010 Yukon Quest, winning both the Red Lantern Award and the Challenge of the North Award. 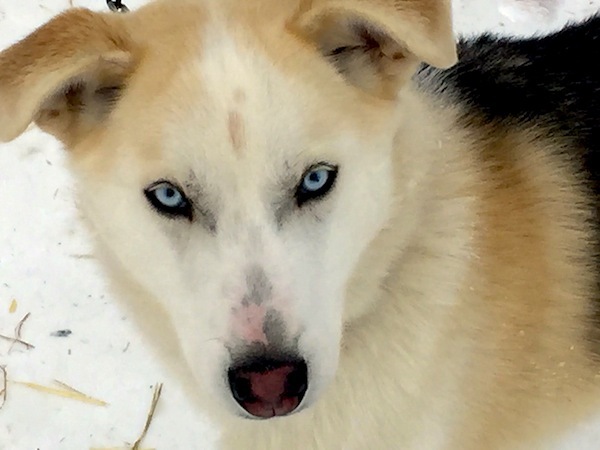 Tip: At Sky High you can sign up for anything from the wussiest version, where you just sit back in the sled, snuggled under the blanket while they squire you around for an hour, or go all the way for a hard-core, two-week Back County Mushing and Winter Camping expedition. Breathtaking roads trips are the norm here. You’re more likely to encounter a run-in with a moose crossing the highway than encounter anything resembling a traffic jam here, so rent a car in Whitehorse, Yukon’s capital, and head out on any of the 4,800 kilometers of scenic highways that beckon. You might want to start with the legendary Alaskan Highway, across the Arctic Circle or follow the historic Klondike Highway to the authentic frontier town of Dawson City, which was Ground Zero during the Klondike Gold Rush. 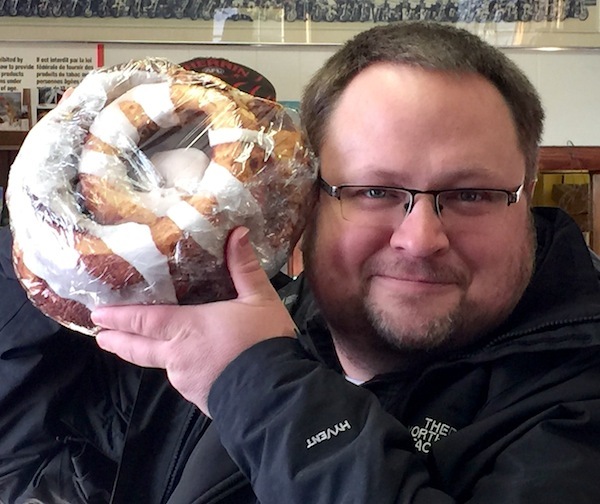 Tip: Keep your eyes peeled for all sorts of quirky roadside pit stops such as the Braeburn Lodge, about halfway between Whitehorse and Dawson, where you can try their famous $10 cinnamon buns, which are roughly the size of your head. I don’t know why he wouldn’t let me steer! 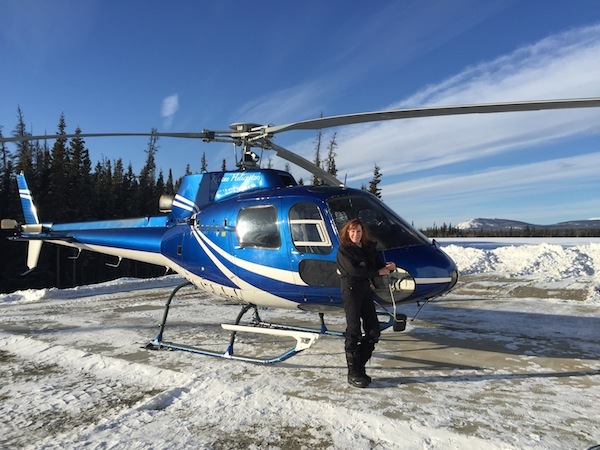 Taking a glacier flight-seeing helicopter ride over Kluane National Park, a designated UNESCO World Heritage Site filled with over 2,000 glaciers, should be on everyone’s bucket list. We went with Kluane Helicopters. It’s a bit of a splurge at around $2,200 an hour, but you can bring along 3 buddies to share the cost, and per their website, they have “THE BEST DAMN PILOTS-PERIOD!” This is kind of important since you’ll be flying over the largest non-polar ice field in the world. As I snapped pictures of the mystical snow-white covered mountain peaks and shocking turquoise-accented seracs (dramatic columns of glacial ice) I felt as if I were flying over the lost kingdom of Shangri-la. If you can’t decide which to do, the award-winning adventure company, Up North Adventures, is happy to let you mix it up. 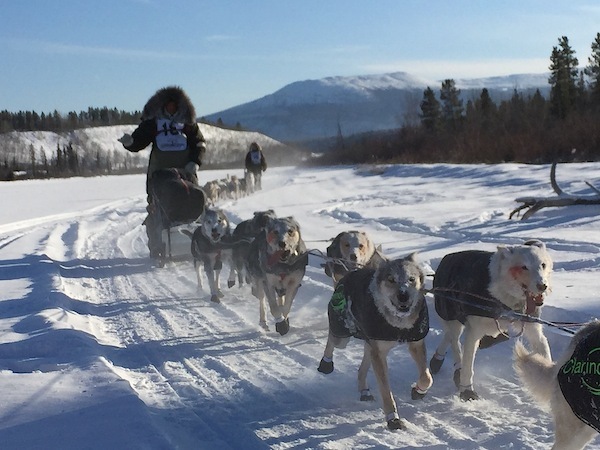 For those short on time, or if you’re a city slicker with a short attention span, check out their Multi-Activity Tour, which lets you dabble in dog sledding, snowmobiling, tobogganing and snowshoeing all in one fun-filled afternoon. Snowmobiling with Up North was a total rush! One of the owners, Mark, was our guide and I swear he is the MacGyver of the Yukon. He showed us how to read animal tracks (very cool) and shared many outdoor survival tips. 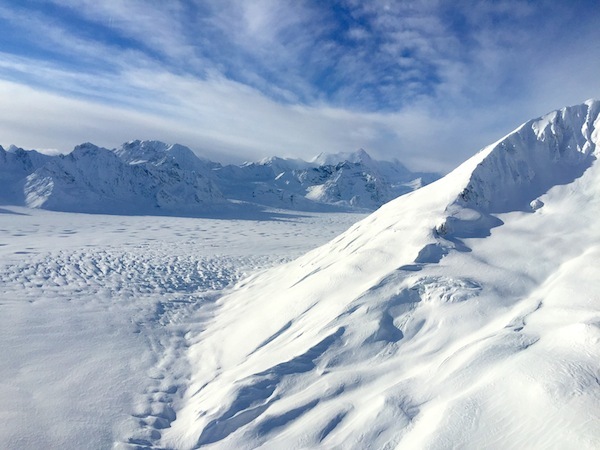 Tip: If you’re in the market to pick up some serious skills, Up North adventure outfitters also offer Yukon Avalanche Courses and Wilderness First Responder classes. There we were, bundled to the max, waiting for our nighttime pickup by an adventure tour operator from Northern Tales, who would be driving us out of town to witness the sci-fi, neon green wisps that make up the natural phenomenon known as The Aurora Borealis/Northern Lights. Our guide dropped us off at their cozy facilities (or as cozy as you can get at minus 30 degrees) which were a cluster of historic wall tents, like those once used by gold miners. There where snacks, hot drinks and a marshmellow-roasting campfire waiting for us. The enthusiastic guides were extremely knowledgeable about aurora photography and happy to assist you with camera settings or loan you a tripod. I had really been looking forward to crossing this one off my “To Do Before I Die” list, but unfortunately I’ll have to take “The Bard of the Yukon” , Robert Service’s word that: “The skies of the night were alive with light, with a throbbing, thrilling flame,” since we saw nada on our viewing night. However even if the lights didn’t come out to play, sipping cocoa under the starry sky in such pristine wilderness was still a memorable experience. Tip: We also joined Northern Tales for an interesting double-hitter which began with a tour of the Yukon Wildlife Preserve, a 700-acre wildlife sanctuary featuring 11 species of northern Canadian mammals in their natural environment, ranging from Woodland Caribou and Alaska Yukon Moose to Wood Bison that we were told weighed as much as a Honda Civic! Afterwards, we relaxed with a most welcome soak in the therapeutic Takhini Hotsprings. It was a hoot comparing our ice-covered hairdos. 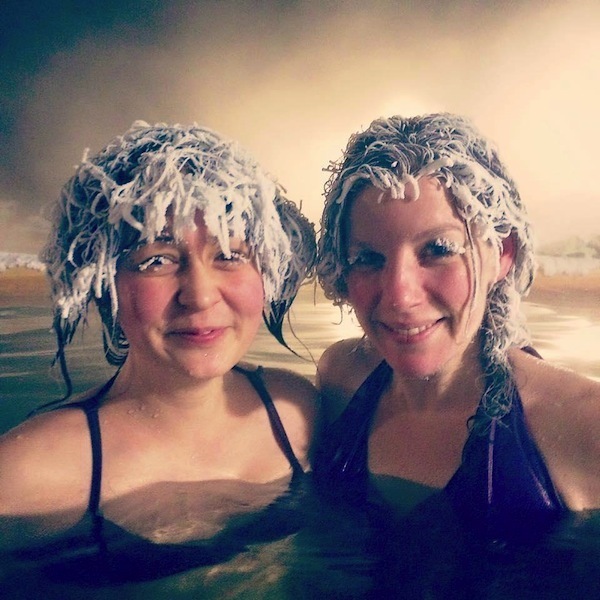 You can even take a picture and enter their Frozen Hair Contest. Word is that their café serves delish crepes. 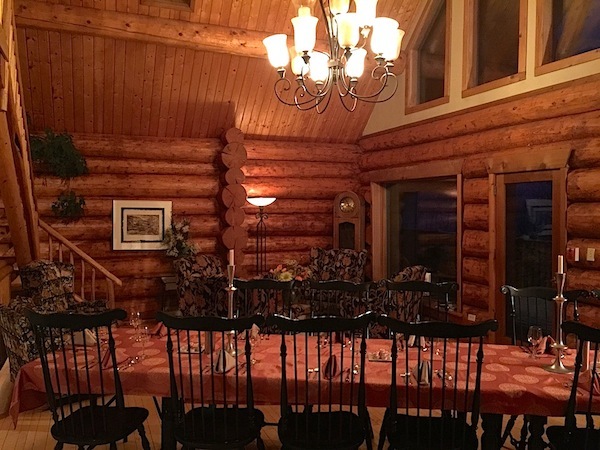 As featured in Martha Stewart Living, The Inn On The Lake, located about ½ hour drive from Whitehorse, offers the ultimate, upscale Yukon retreat. The hospitable chef/owner Carson Schiffkorn and his staff provide a warm setting perfect for a little indoor pampering. Thaw out as you sip a fine Canadian wine in front of the huge stone fireplace in the Inn’s Great Room before indulging in a gourmet four-course meal featuring organic vegetables, freshly foraged mushrooms, local bison, salmon and Arctic Char, all artistically presented by Schiffkorn and Chef Coralee. Although the 15 rooms and cottages are all comfy with rustic/chic style, try the Executive Jacuzzi Suite, where you can appreciate the Northern Lights neon light show from your hot tub! The food here might not be haute but it sure is tasty! I chowed down on some mighty tasty treasures that were foraged, fished, harvested and hunted fresh from the wilds, such as local game, Arctic Char, greens, morels, honey and berries. I was surprised however, that I never had any sourdough bread. What’s up with that? 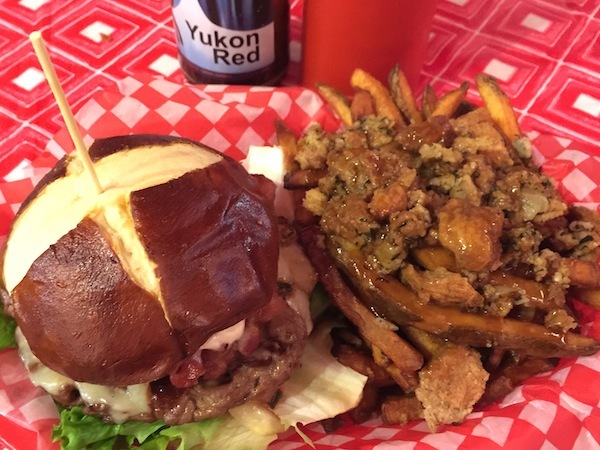 Robbyn’s Street Grill: for their should-be-world-famous Yukon bison burger topped with bacon, mozza and hickory glaze with a side of funked-up, Newfie Fries, crispy fries topped with turkey stuffing and gravy-carbo heaven. For a gourmet meal head to Giorgio’s Cuccina, an upscale Mediterranean restaurant that is always packed with a celebratory bunch, but no worries, the exuberant owner, Giorgio, treats you like a guest of honor. Start with the flaming Saganaki Cheese and then follow it up with a huge pile of divine Alaskan Red King Crab legs, local Arctic char or bison ribs. As impressive as the ambiance was at The Wheelhouse, decorated with genuine period furnishings and archival photos from the stern-wheeler era, the food and wine were equally impressive. I ordered (and loved) all my local picks, starting with Alderwood Smoked Char Dip followed by Grilled Arctic Char and ending with a delectable Low Bush Cranberry & Apple Galette topped with birch caramel yogurt and salted walnuts! For authentic Greek cuisine, minus the jet lag, head to The Drunken Goat Taverna for gargantuan platters of Greek specialties such as calamari, spanakopita, hummus and their killer lamb chops. If it’s packed (which is the usually case) then head next door, where the same menu is available at their Billy Goat pub. Tip: Keep in mind that they serve humongous portions in the Yukon, which sure worked for me! Whitehorse is home to the Yukon Brewing Company, an award-winning brewery that was conceived in 1997 by two canoe-paddling buddies and now sells over 850,000 liters a year. They won the Canadian Beer of the Year in 2009 for their addictive Yukon Red (often a sold-out); however they always have something exciting up their sodden sleeve. Check them out on Facebook for their creative specials such as a special Bonanza Brown with raisins, sugar and vanilla. Time your visit for the 2:00 p.m. tour for $10 per person. I loved the fact that all the money goes to a local charity, so you’re not just getting drunk midday, you’re being philanthropic! You can tour the brewery, hear how they make their craft beers, and end with a tasting of eight beers, as well as their botanical vodka, Solstice, which is infused with raspberries, rose hips and sage. As different as their beers are, for something truly unique, The Downtown Hotel in Dawson City has them beat. I’m going out on a limb here, but I feel it’s safe to say that this is the only place in the universe where you can belly up to the bar and order a Sour Toe Cocktail, a shot of 40 proof alcohol that is then garnished with an amputated human toe. 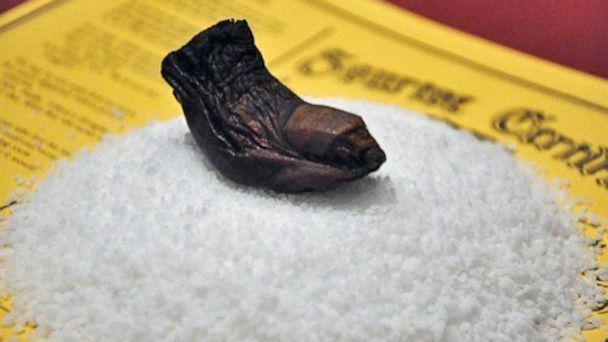 The first toe dated back to 1920 and came from a frostbitten rum runner. 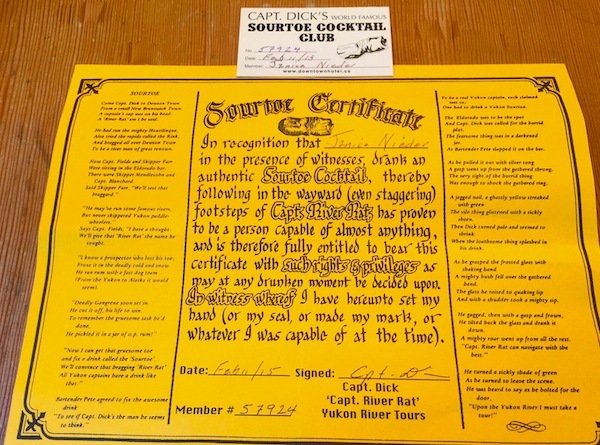 To become a member of this non-elitist club you must pay first $5 to the reigning Sour Toe Master. He will then open the old wooden case that holds a stack of official certificates and jar of salt where the gnarly big toe is buried. He digs out the toe, drops it in your glass, and delivers the following Harry Potter-like incantation: “You can drink it fast, you can drink it slow– but the lips have gotta touch the toe.” If you follow these directives without swallowing the toe (which results in a $2,500 fine), you are awarded a membership certificate. I am the proud 57,924th member of the Sour Toe Cocktail Club, which began on 1973. But perhaps their greatest resource is the people. 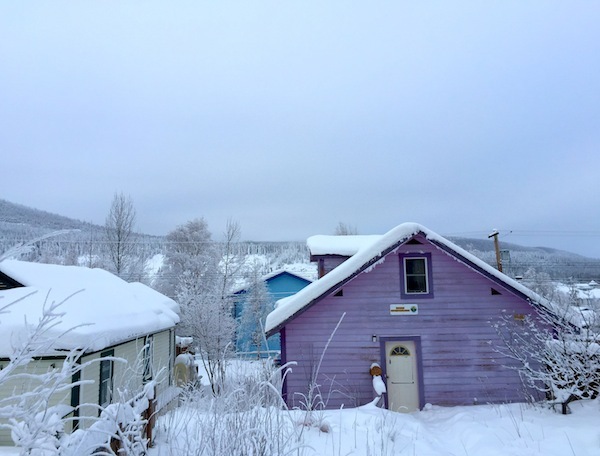 There is no way to describe Yukoners because they are truly inimitable. But if I were to try, I’d say in general they are hospitable, outdoorsy, totally crazy, tough as nails, tenacious, fun-loving, quirky, dedicated, fascinating and totally unforgettable. 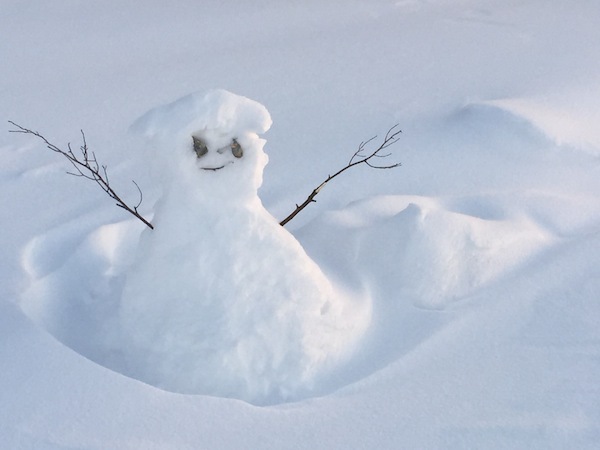 Even the snowmen welcome you with open arms in the Yukon! For other ways to have fun in the Yukon (365 days a year) visit Travel Yukon.